Batchinsky, Evhen [Бачинський, Євген; Bačyns'kyj, Jevhen; French: Eugène de Batchinsky], b 24 August 1885 in Katerynoslav, d 30 October 1978 in Bulle, Switzerland. Civic and religious leader, journalist, and editor. Imprisoned for revolutionary activities in Saint Petersburg in 1907, Batchinsky escaped to Western Europe in 1908. He was active in the Circle of Ukrainians in Paris from 1909 to 1912. 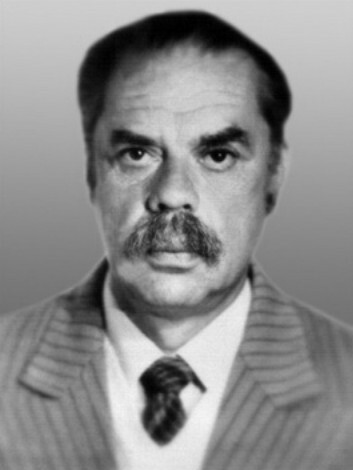 Batchinsky was a correspondent for several Ukrainian newspapers in this period. In 1914 he moved to Geneva and founded the Ukrainian Hromada there. In 1915–17 he was the representative of the Union for the Liberation of Ukraine and editor of its organ, La Revue ukrainienne. In 1917–19 he contributed to the weekly L'Ukraine in Lausanne; in 1918 he was appointed consul of the Ukrainian National Republic there. From 1922 he was also the official representative of the Ukrainian Autocephalous Orthodox church in Western Europe. From 1939 to 1950 he directed the Ukrainian Red Cross in Switzerland. In 1955 Batchinsky was consecrated bishop of the Ukrainian Autocephalous Orthodox Church (Conciliar). His personal archive, at Carleton University in Ottawa, is a valuable source for the study of Ukrainian political history and Ukrainian émigré life from the late 1890s. A finding aid to the collection, prepared by J. Jaworsky and O. Szkabarnicki and edited by J. Palin, was published in Edmonton in 1995 as a Canadian Institute of Ukrainian Studies research report (no. 47).